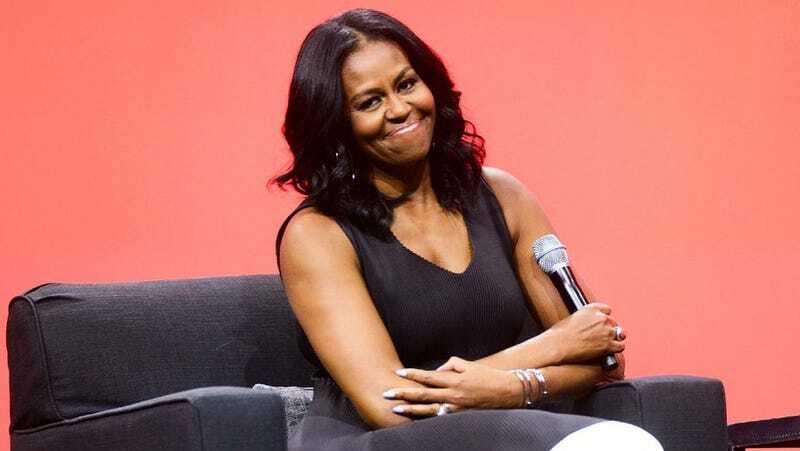 Becoming, former-and-forever first lady Michelle Obama’s new book, continues to fly off shelves. Its 3 million copies sold in the United States and Canada alone make it the highest-selling book of the year. Her book tour is selling out stadiums. Her skin care regimen is unfuckwitable. To date, Becoming’s 3 million copies sold in the United States and Canada make it the highest-selling book of 2018.